Congratulations to the members of the incoming RENATE Core Group elected at the RENATE Annual Board meeting from 5 – 9th November in Lviv, Ukraine. RENATE: Religious in Europe Networking Against Trafficking and Exploitation works tirelessly to rehabilitate victims, free the world of sexual and labour exploitation, slavery and forced organ harvesting. It was established by a group of religious representing several different congregations working against human trafficking in Europe. 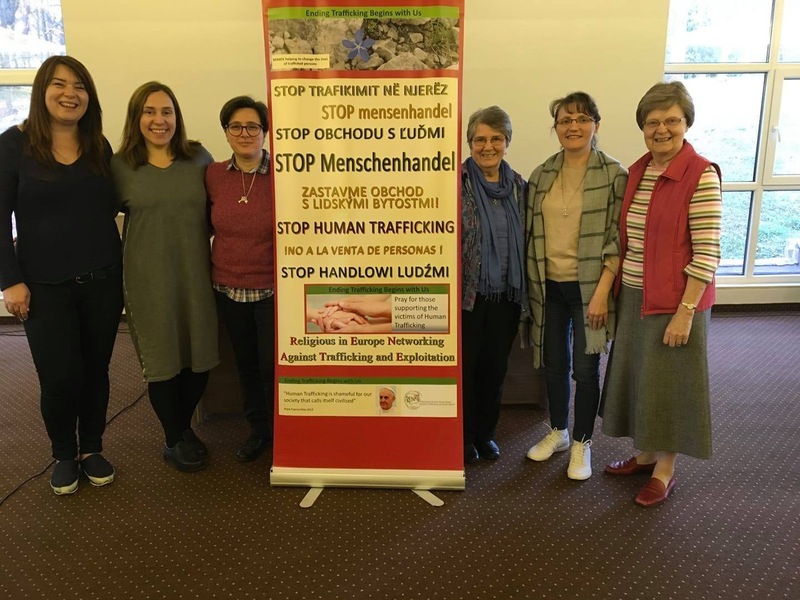 RENATE network with Talitha Kum which is the International network of sisters working against trafficking in person and also collaborates with many other networks within and outside Europe. Board members pictured here include: Ms Ana Stakaj, Ms Halyna Onyshko, Sr Maria Luisa Puglisi AASC, Sr Imelda Poole IBVM, Sr Adina Balan CJ, Sr Patricia Mulhall CSB and Sr Clotilde-Wanki SSCJ (not in this photo). Brigidine Sisters are committed to praying and working for the elimination of all forms of human trafficking and exploitation. We congratulate our Patricia Mulhall CSB for her ongoing commitment, her tireless work to bring justice for people who have been trafficked or exploited and for her election to the new RENATE Core Group.